Suresh Bhat, a senior finance executive with more than two decades of experience in academia and Fortune 500 companies, has been named chief financial officer of the William and Flora Hewlett Foundation, the foundation announced today. Bhat will start his new role on Nov. 6. 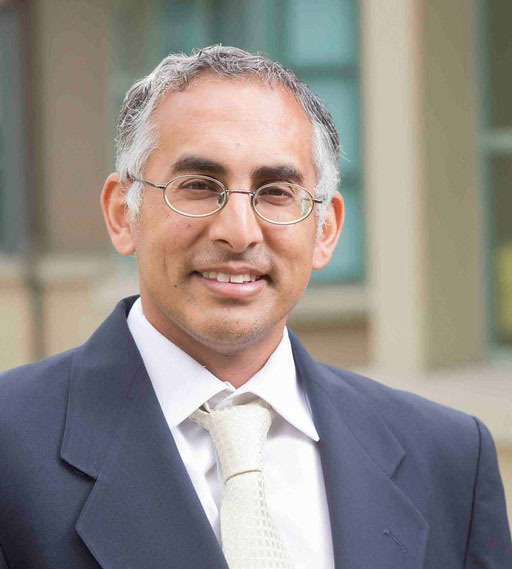 Bhat has most recently served as the chief financial officer of the Haas School of Business at the University of California Berkeley, where he was a key member of the Haas senior management team and thought partner to the dean and advisory board. Prior to that, he headed business finance for the Institutional Client and BlackRock Solutions businesses at BlackRock, the world’s largest asset manager, overseeing all aspects of financial planning, budgeting, forecasting and analysis. “We’re thrilled that Suresh will be joining the Hewlett Foundation. He has a wonderful mix of experience in the private and academic sectors that has called upon him to exercise the kind of strategic thinking that makes for a great CFO. He has a proven record of thought partnership and ability to empower team members that has served his past organizations well, and will benefit the Hewlett Foundation,” said foundation president Larry Kramer. “The Hewlett Foundation, through its areas of grantmaking, has made an amazing impact on communities throughout the world. I’ve admired the organization and its guiding principles from a distance and am honored and excited to join the team in continuing the legacy of Bill and Flora Hewlett,” said Bhat. Bhat will lead a team of professionals who manage finance and accounting functions for the foundation, which has $9 billion in assets and awarded more than $400 million in grants in 2016. He succeeds Susan Ketcham, who announced her retirement earlier this year after serving as the foundation’s CFO for 16 years. Bhat brings to the Hewlett Foundation extensive experience in organizational strategy and financial management. He has held senior roles in financial management and financial planning at Barclay’s Global Investors, where he helped lead its sale to BlackRock, and Charles Schwab & Co., Inc., where he served as division CFO for retail distribution, retirement service and international businesses. He began his career at Deloitte & Touche and served in various finance roles at Bank of America. He earned both an MBA and a bachelor’s degree from the University of California Berkeley.